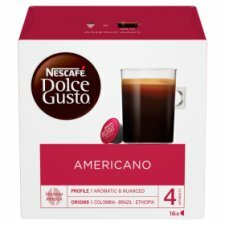 Discover NESCAFÉ® Dolce Gusto® Americano, a 100% Arabica coffee with an intensity of 4 out of 11. 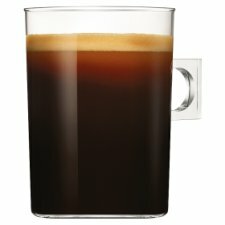 This long cup (at 230ml) is an elegant coffee with fruity and floral notes, and a fine crema. Savour the nuanced notes of lychee and rose, in this lightly roasted body, mug-sized coffee. Our talented coffee creators have blended South American and East African Arabica coffee beans and lightly roasted them to create NESCAFÉ® Dolce Gusto® Americano's delicate flavour.